Fast, accurate delivery of customer orders is an essential part of the overall customer experience – and in an increasingly competitive marketplace, that calls for the presence of a high performing digital infrastructure. From ERPs to intelligent warehouse management systems to automated routing and supply chain software, the logistics industry has embraced digital transformation seamlessly over the years and continues to do so even today. The age of Augmented and Virtual Reality taking center stage in the business world is now. In fact, by 2020 reports suggest Augmented Reality will be a $90 billion revenue market. One of the most time-consuming, error-prone tasks in a distribution environment is picking. However, this is an area where AR can yield tangible benefits within a short period of time. Recently, logistics giant DHL piloted a test project in Netherlands using AR-assisted vision picking to streamline operations. 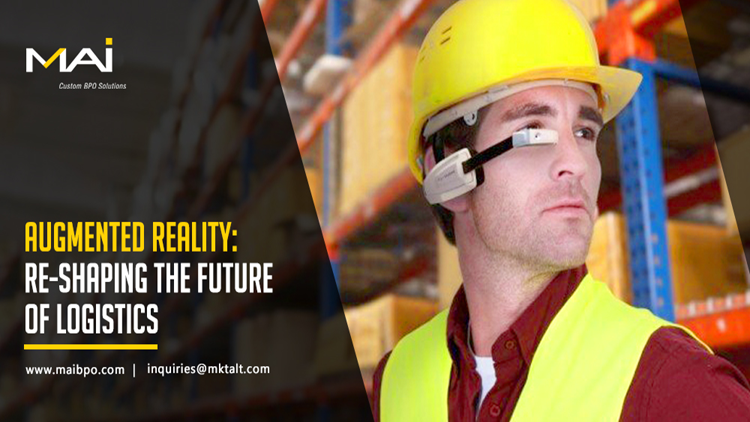 Warehouse workers were equipped with smart glasses that enabled them to see a digitalized route, making navigation easier and faster. AR assisted navigation software is another tool to guide workers to the exact location of parcels with ease and remove erroneous picks. Locating the right product on the shelf is made easier with virtual pointers on the objects to be picked. Once an object has been picked, the worker scans the bar code and records the entry into the central Warehouse Management System via virtual dashboards. The project was deemed a success with efficiency increasing by more than 25 percent thanks to the assisted picking option. Warehouses are becoming more than just huge storage rooms. They are multipurpose operational hubs for enterprises where products can be stored, assembled, labelled, packaged or sorted for further deployment and delivery. The need for warehouses to act as hubs for these activities requires nearly instantaneous rearrangements to fit into new roles. With AR, warehouses can be easily remodeled digitally to see what needs to be changed to accommodate requirements and how it will affect other components in the process. The obvious benefit is that you do not have to physically rearrange the entire warehouse to try out new alignments. Modifications can be easily overlaid on digital canvases that cover the real environment and provide decision makers with a first-hand view of how measures need to be calculated for the realignment. Drivers spend a significant portion of their time away from the distribution center loading and unloading freight. Incorrect weight estimations, improper loading and/or lack of information regarding cargo placement leading to time loss during last mile delivery are just a few of the issues that plague freight drivers daily and lead to inefficiency. Equipping drivers with AR assisted devices that depict information about cargo such as weight, easy positioning within the truck for faster take outs, clear cut destination indicators, etc., would improve efficiency greatly. According to a report released by Seattle-based INRIX and the Centre for Economics and Business Research, traffic congestion is estimated to cost Americans $186 billion in direct and indirect losses, by 2030. For efficient last mile delivery of goods, there is an increasing need to optimize navigation on roads. AR can assist in delivering dynamic traffic-based routing information to drivers. Companies like BMW and Google are already testing out trucks fitted with smart windshields. AR assisted information on traffic jams, alternative routes, deviations and shortest route to the destination are all displayed on the windshield with minimal obstruction to the driver’s vision to help save time and fuel. In addition to information about navigation, AR assisted windshields could also notify drivers about vital parameters and environment criterion of the cargo. For example, fall in temperature of frozen cargo is a crucial factor that requires an instant solution to avoid huge losses. AR will reshape the future of logistics in more ways than one as explained here. Opening up new possibilities within existing channels, AR helps companies to transform their logistic operations into leaner and high performing units by reducing costs and improving efficiency at the same time.